Could San Diego Be The New Hub for Virtual Reality? 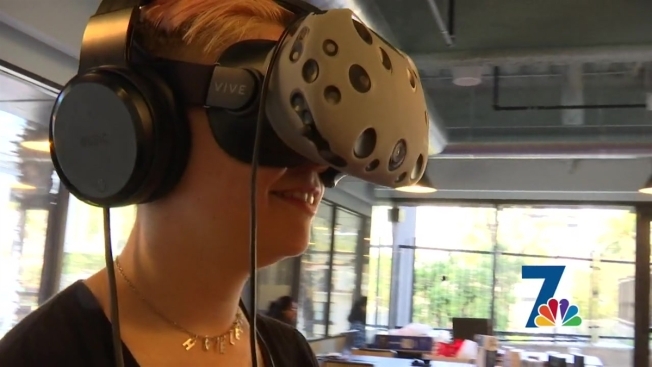 Could San Diego Be The New Hub Of Virtual Reality? The co-founder of San Diego Startup Week, Austin Neudecker, said he believes San Diego could become a new leader in the world of virtual reality. “We have tremendous engineers coming out of some of the best research institutions and companies here in San Diego," Neudecker said in an interview with NBC 7 on Wednesday. One San Diego-based company in particular -- Ossic -- is paving the way. The startup has created new types of headphones that take virtual reality sound from two-dimensional, like you would hear from a television or video game, to 3-D sound. Kellaway said they do this by customizing the headsets to each person's head and ears. Ossic currently has a program that displays musical orbs floating through the air. When you touch them with your controller in virtual reality, you can move them around, hearing the music from all sides. To learn more about San Diego Startup Week, click here.